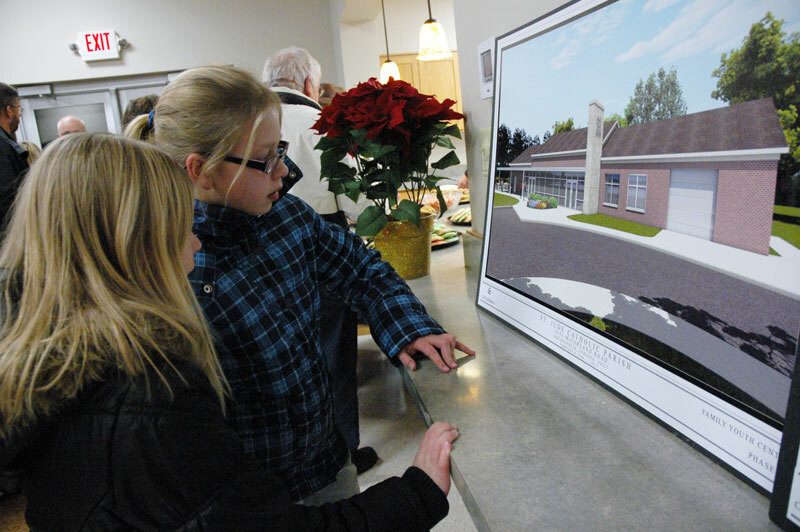 Looking to the future, St. Jude parishioners in Indianapolis celebrated the opening of the new parish youth center	during a Dec. 12 dedication ceremony. The blessing of the brick, multipurpose facility was a historic occasion during the parish’s 50th anniversary year. The event also gave Father Stephen Banet, the pastor, an opportunity to visit with parishioners after his recent return from a four-month sabbatical. 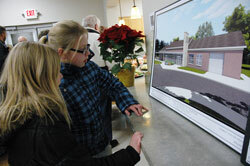 While teenagers, children, parents and other parishioners toured the renovated former bus garage and enjoyed holiday cookies in the new full-service kitchen, Father Banet reflected on how the youth center will benefit the Indianapolis South Deanery parish for years—and generations—to come by helping to keep young people active in the Church. The new youth center is located on the west side of Roncalli High School’s football field, and includes a concessions stand where parishioners can sell refreshments during games as a fundraiser for youth programs and activities. The 1,800-square-foot facility also has handicap-accessible restrooms, a large social room and a smaller meeting room that will accommodate parish youth ministry gatherings, religious education programs, Scout troop meetings and some school events. A landscaped prayer garden on the east side of the youth center features a statue of the Holy Family, which was purchased as a gift for the parish by St. Jude School’s 2008-09 eighth-grade class.